Mezzanine Shelving is essentially a shelf supported catwalk system. This design of mezzanine can in effect save thousands of dollars by eliminating the need to build the mezzanine structure itself. When faced with the costs of relocation or new construction it only makes sense to examine such an effective and highly efficient alternative. 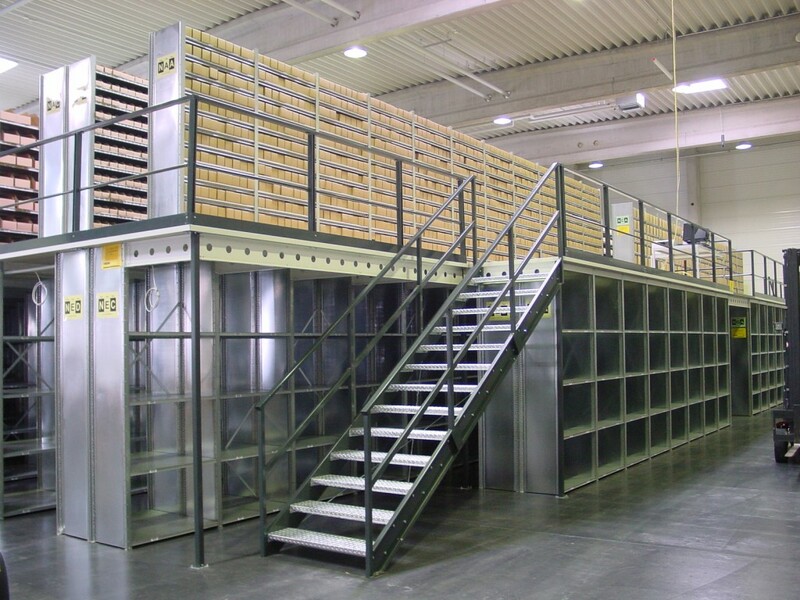 As with any mezzanine, a shelving mezzanine allows for the conversion of unused vertical space into a safe and efficient storage medium. 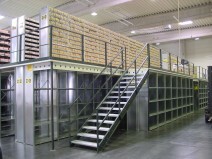 At Prestige Racking our first objective is ensuring such a system is appropriate to your business needs. Are we looking at storing slow moving or fast moving stock? Is such stock of an appropriate cube suitable to such a system, etc. Secondly, although any such structure may be designed to be functional from an efficiency standpoint, how does it stand up when we look at the efficiency of its engineering design. At Prestige Racking we ensure it not only meets local seismic requirements and code but also that it does so in the most logical and cost effective manner. Many of our mezzanine systems can be put together in a fraction of the time of other manufacturers and often with nothing more than a rubber mallet. These systems are typically designed and shipped as a kit which can be assembled in a weekend yet providing solid functionality for many years to come.